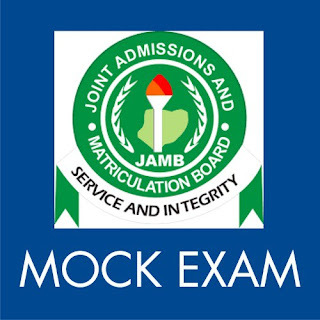 The Joint Admissions and Matriculation Board has fixed Saturday 29th (this weekend), for the conduct of its Unified Tertiary Matriculation Examination (UTME) mock examination in some selected centres across the country. JAMB Registrar, Prof. Is-haq Oloyede made the announcement during a workshop to train its officials for the coming UTME examination in Abuja on Wednesday. He said the mock examination would take place in 633 computer based test (CBT) centres across the country. Prof. Oloyede said: “We have identified those technical hitches and quickly made necessary correction and tighten loose nuts. As a matter of fact, a trial mock was conducted last week in 10 states and the exercise was 99 percent successful. “All we are trying to do is to do things the best way that will not be wasteful, that will not make Nigeria inferior in the community of examination bodies. What we are trying to do is find the most efficient way of conducting our examination. “I believe whatever can work in another place can work in Nigeria. For us, what we are trying to do is to give the best of our services to this great nation of ours. I need not be the registrar of JAMB if there will be no change positively. “We believe that come next Saturday (this Saturday), we will do our best. What we have done now is that last Monday we conducted a preliminary mock in ten places across the country and it was 99 percent success. “We conducted it in Sokoto, Abuja, Lagos, Ilorin, Nasarawa, Lokoja and we tested the technology again it was working but it worked because of the cooperation of all. The JAMB boss alleged that powerful forces was working hard to derail the smooth conduct of the examination nationwide, vowing that JAMB would not return to status quo. “People are head bent on creating problems where none exist. I believe their toes are very big and I don’t mind stepping on them. Believe that at the end of the day Nigerians will know the truth and who to appreciate and who to condemn. “So I expect all other stakeholders involved in the system not to sabotage the efforts of the board but reciprocate such gesture and goodwill so that we could give Nigerians the best of services they deserve,” he said. 39 Responses to "JAMB 2017/2018 Update: Mock UTME to hold Saturday April 29"
Hi everyone my name is gladys Ebikwe from imo state i wrote my jamb last year 2016/2017 when i checked my score it was 135 i was so sad when i saw the result but thank God for my friend who helped me with mr felix olawales number and he requested for a little money and my details which i did and at first i never believed it untill they message me that my scores have been upgraded to 270 i was happy and i printed it and right now am in school today i just want to thank mr felix olawale again,for those of you who their mark is not up to the caught off mark you can also reach him for upgrade and answers +2348168340606.Once again thanks sir. my name is cindy iffiong from akwa ibom state i never believed that this upgrade is real untill i wrote my jamb exams on the 12th may when my score came out i was having 109 i was very angry and i saw a post from gladys on net i collected the number and decided to call behold he requested for my credentials and now my score has been upgraded from 109 to 243 now am so happy.for those of you like me you can quickly reach mr felix olawale now on +2348168340606 and he also give out answers to make you pass. pls i will advice any candidate having problem with his/her jamb score to quickly contact Mr. job on 08160501935 he works directly with jamb. i am saying this because he just upgraded my jamb score me from 171 to 220 so therefore he is texted and trusted. hello to the world my name is gloria am here to testify of a man that helped me on my post utme exam it was terrible for me i was unable to make it and one day i log in on net trying to search out something when i read about him from someone whom he help also,so i had to collect his number and i called him and told him my problem and he gave me the procedures as follow and to my greatest surprise my gain my way to the university.so i never want to keep this alone so i have to let it out by writing this note of testimony. just incase you have any issue concerning your admission to the university you can call or whatsapp him 08107138233. URGENT ASSISTANCE INTO THE NIGERIA UNIVERSITIES OF YOUR CHOICES ALSO TO SECURE YOUR ADMISSION INTO THE UNIVERSITY CALL FOR ASSISTANCE NOW ON CALL PROF.Amadi 08115151940. I HAVE THE POWER AND INFLUENCE TO ADMITE ANY CANDIDATE OR TO UPGRADE CANDIDATE EXAMINATION SCORSE, CALL FOR ASSISTANCE NOW APPLY FOR YOUR POSTUTME REGISTRATION. Call:_09033249189 For help on how to upgrade your result to 250 and above. “This message is direct from Jamb Office Abuja. So Call 09033249189now to score above 250 and for checking and upgrading of score, Pending Results Issues call jamb head office on 09033249189 for help,” the Facebook notice posted on the 9th by one Prof-Oboh Andrew read. Greeting, informings to all my fellow jamb students, my name is Sarah benjamin from Lagos, am here to you all about the great man God is using to help poor students like us, last year I and my brother wrote wale and unlucky for us we lost some of the subject, i felt like dying because it was my fourth time of writing wale. one day i was browsing when i saw a post thank one Mr OKAFOR a wale official for helping him to upgrade his is papers that was lost , I thought is was a joke but i just took his number and call him and explain my problem to Mr OKAFOR he told me not to worry that am very lucky to contact him, to my greats shuck my papers was release and upgrade to my expectation and that wan how I was able to process my admission into the university, so i urge you all that have low problem on you wale result to hurry and call Mr OKAFOR now because he is the only person that is capable to help you upgrade and release your papers , i will advise you not to call any number you see on the internet because there are so many scammer online, if you really want to get a good papers, call Mr OKAFOR now on his number (+2348161532663) don't miss this opportunity.Greeting, informings to all my fellow jamb students, my name is Sarah benjamin from Lagos, am here to you all about the great man God is using to help poor students like us, last year I and my brother wrote wale and unlucky for us we lost some of the subject, i felt like dying because it was my fourth time of writing wale. one day i was browsing when i saw a post thank one Mr OKAFOR a wale official for helping him to upgrade his is papers that was lost , I thought is was a joke but i just took his number and call him and explain my problem to Mr OKAFOR he told me not to worry that am very lucky to contact him, to my greats shuck my papers was release and upgrade to my expectation and that wan how I was able to process my admission into the university, so i urge you all that have low problem on you wale result to hurry and call Mr OKAFOR now because he is the only person that is capable to help you upgrade and release your papers , i will advise you not to call any number you see on the internet because there are so many scammer online, if you really want to get a good papers, call Mr OKAFOR now on his number (+2348161532663) don't miss this opportunity. you need he for help contact he on +2348143289031 or 08078351159..
for the 2018 Unified Tertiary Matriculation Examination will receive their results in less than 24 hours after the examination. 100% Guaranteed©, Interested candidates Should Tel: 08075023224 Now and become happy with your JAMB Score after Upgrading. Much Sir i will forever be grateful you to, God Bless You. JAMBUPGRADE OF WAEC GCE JAMB RESULTS WITH A TOTAL SMILE ON YOUR FACE. Do you wish to upgrade your jamb result, to 250 above hurry up now and ,call Mr Martins on: +2349032238203 or Whatsapp on : +2348083780369 for instant upgrade of your jamb score to 250 above . Thanks. Hello online reader please read carefully my name Is tessy from Portharcourt I have been writing jamb for 2years now until I met MR james direct from the jamb office he help me to make good grades. if you need an assistance or support on how to get an high score or upgrade after exam.call me james on +2348103093651 success in all your exams.